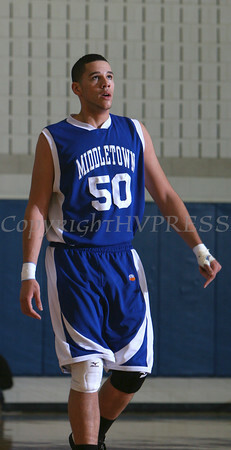 Middletown's Jose Canario (50) was held to just one point during the Section 9 Class AA championship game against Newburgh Free Academy at SUNY New Paltz on Saturday, March 5, 2011. NFA defeated Middletown 54-41. Hudson Valley Press/CHUCK STEWART, JR.